The grain called “King Tut wheat” became a local novelty. In June of 1964, the local newspaper in Great Falls, Montana carried a story with a photograph showing a farmer, Clinton Stranahan, planting the giant wheat. He passed out samples of the grain at the nearby county fair where Bob Quinn, 16 at the time, first saw it. After a few years, the novelty faded and the grain disappeared. In 1977, just after finishing his Ph.D. in Plant Biochemistry at the University of California at Davis, Bob was eating a package of Corn Nuts® snacks. In bold letters across the back of the package, it was written that Corn Nuts® was made from a giant corn. Remembering the giant King Tut wheat, Bob decided to contact the Corn Nuts® Company to see if they would be interested in making a giant wheat snack. The company expressed interest and Bob’s father Mack located a jar of the grain. Initial trials were successful. However, after learning of the limited supply, the Corn Nuts® Company decided not to continue with the project. 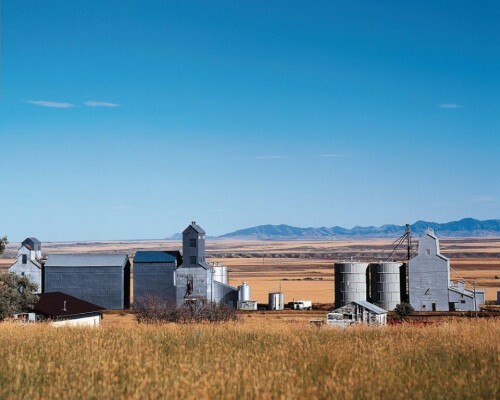 In 1978, Bob returned to the family farm near Big Sandy, Montana. Despite the loss of interest from the Corn Nuts® Company, the wheat was grown to increase the supply, starting from a handful of kernels that were carefully selected by Mack. During the same period, Bob also became interested in organic farming and in 1986 planted his first certified organic crop. By 1989, the entire Quinn family farm had become organic. In 1986, Bob and his father decided to display the grain at a food show in Anaheim, California. This was the first year their company, Montana Flour & Grains, exhibited to promote their organic wheat and flour. Due to interest in the grain, they seeded their entire supply of 60 lbs. of the ancient wheat on one and a half acres and continued to increase this in following years. In 1988, the grain was introduced to the health food market in a pasta made by Royal-Angelus Macaroni Company and, in 1989, in a bread produced by Oasis Breads. Demand grew rapidly as many people reported enjoying the taste of foods made with the grain and that it was easier to digest compared to modern wheat. After positive results of an initial study with wheat sensitive people, Bob recognized the unique and healthy qualities of the grain and sought to protect them by preserving the variety under a trade name. In 1990, with the assistance of Mack, the “KAMUT” trademark was registered to be used as a guarantee, under which the original ancient grain would remain unmodified and always organically grown. In 1991, Arrowhead Mills introduced the first cold cereal in the US and the grain was also introduced into Europe. Today, KAMUT® brand khorasan wheat can be found throughout the world in products including breads, pasta, pizza, cereals, snacks, pastries, crackers, beer, green foods, and cereal drinks.